Jace Kotsopoulos from the Guelph Gryphons and Emma Lefebvre of the Ottawa Gee-Gees are the U SPORTS Male and Female Athletes of the Week for the period ending Sept.2, 2018. When healthy, the All-Canadian is a handful for any defensive line to deal with and he’s been showing his knack for finding the back of the net early and often in the 2018 season. Kotsopoulos showed his class in a match with York during the week, giving Guelph a temporary lead when he gathered a loose ball in the area and blasted a strike just under the Lions’ crossbar. 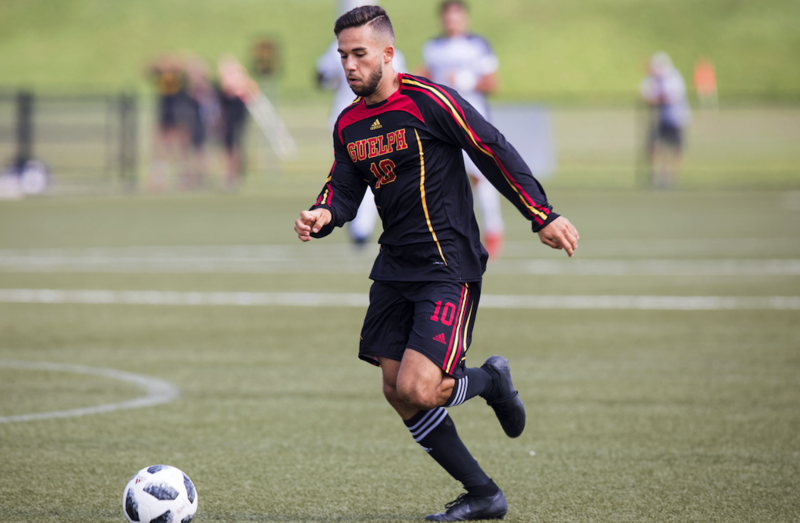 He was influential in the Gryphons’ decisive 4-0 win over Laurier Sunday, meanwhile, as he all but iced the match with his team’s second goal just before halftime, before adding a penalty kick moments after the restart. His early-season goal total now sits at five goals in four matches, similar to his hot start to the 2017 season. Lefebvre notched an outstanding six goals in Ottawa’s pair of wins, including two against the Trent Excalibur in the Gee-Gees’ 4-0 win to notch the first multi-goal game of her career. She also recorded an assist to bring her point total to three for the game. 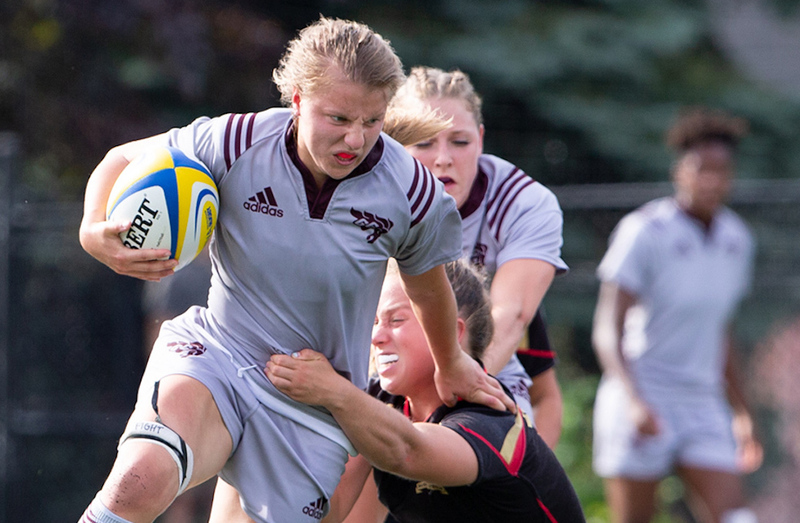 Her encore performance was even more impressive; however, as the Kingston, Ont., native scored all four of the garnet and grey’s goals against the UOIT Ridgebacks. Her impressive totals now have Lefebvre in the lead among U SPORTS goal-scorers (6), as well as ranking first in assists (3) and points (9). 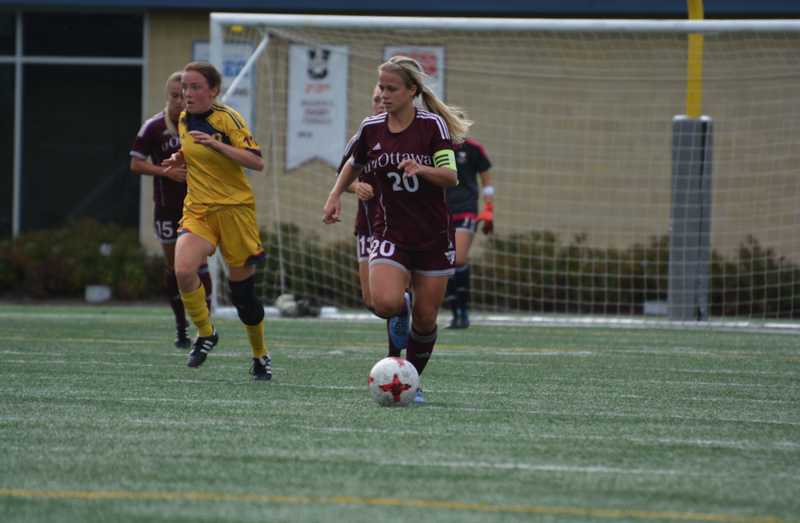 She also now has a career high in goals after scoring five last season and has been a major part of the Gee-Gees’ No. 7 U SPORTS ranking.